May 30 is Goro's birthday. I'm always drawn to his tummy. Happy birthday, darling. We love you!! and cat lovers. Check out if you haven't yet! Sorry if I'm not visiting you as usual. 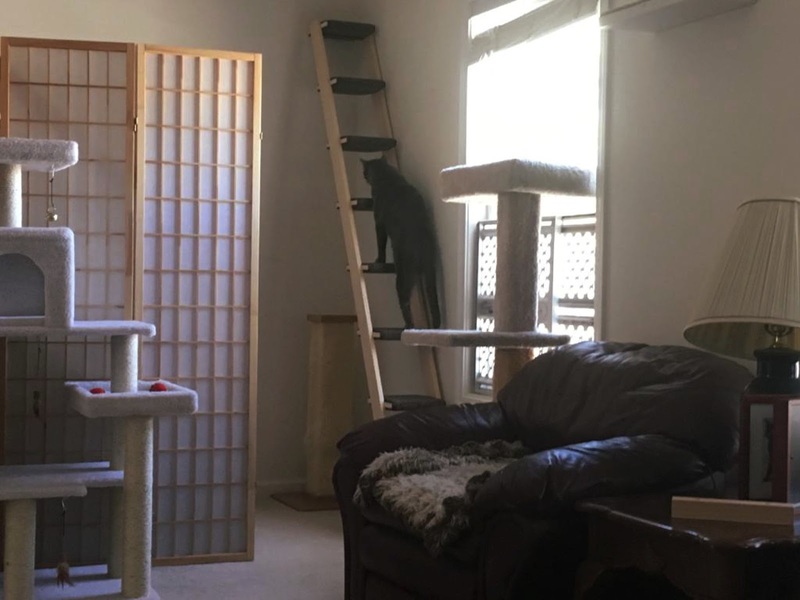 our latest Cat Shelf project. She asked me to show you some more. shelves. It's to make a non-slip surface. See the curve bed there? It's installed rather low on the wall. when he is on the couch. I know Dad, you are always my # 1.
tries to photograph my belly. She is such a pervert. Let's go down from here. 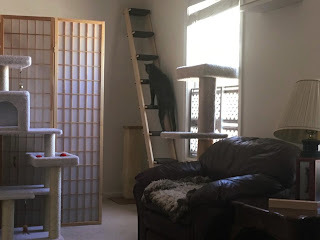 You see there is this cat ladder. OK, let's move to this tree. Mom & Dad put carpet on top of the cabinet. I was in the 1st picture. We hope you enjoyed our Cat Shelf tour!